The Tracker 260 LVDT indicator display is designed specifically for use with AC type LVDT transducers and provides an extremely stable 5-digit readout. The LVDT meter’s “Fast-Cal” feature provides a quick and simple method of calibrating an LVDT with the indicator at two stroke positions using the front panel push buttons. The Tracker 260 LVDT indicator display provides the excitation voltage and frequency to suit the manufacturer’s specification for the LVDT and features two analogue outputs, one high speed, for monitoring fast changes of LVDT movement and a separate electrically isolated scaleable analogue output. The Tracker 264 LVDT indicator adds two alarm relays to the specification, while the Tracker 265 adds four alarm relays. All 260 series LVDT indicators offer a serial RS422/RS485 data output for communication with PLCs, Computers and Data Loggers. 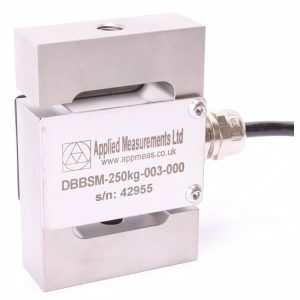 Suitable LVDT Transducers for use with the Tracker 260 Series can be found in our LVDT & Displacement Sensor Product Section. Please contact our expert sales team using the form belowin the sidebar, call us on +44 (0) 1189 817339, or send an email to [email protected] and we will be happy to assist you with your enquiry.